Potatoes?? At Christmas?? 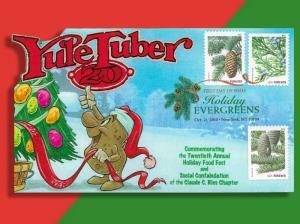 Yule Tuber Pop-Up First Day Cover Celebrates Spuds! Potatoes and Christmas?? 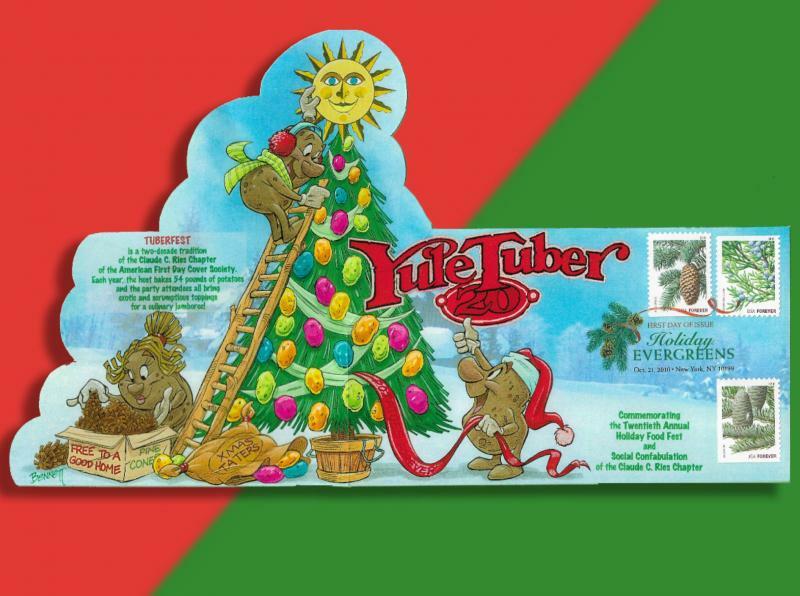 Yep - every year the Claude C. Ries Chapter of the AFDCS celebrates their holiday party with a baked potato feast -- The Yule Tuber, they call it. This FDC for the Holiday Evergreens stamps of 2010 has a DCP and shows our friendly potato people decorating a Christmas tree with colorful spud! The cover fits a standard FDC sleeve or album space . 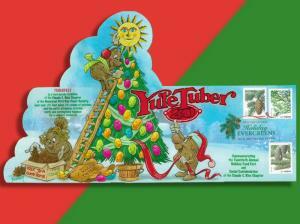 . . but unfolds to 10+" for more holiday jollity! We can only honor purchases made in the USA and sent to USA addresses . . . but all shipping is absolutely FREE! 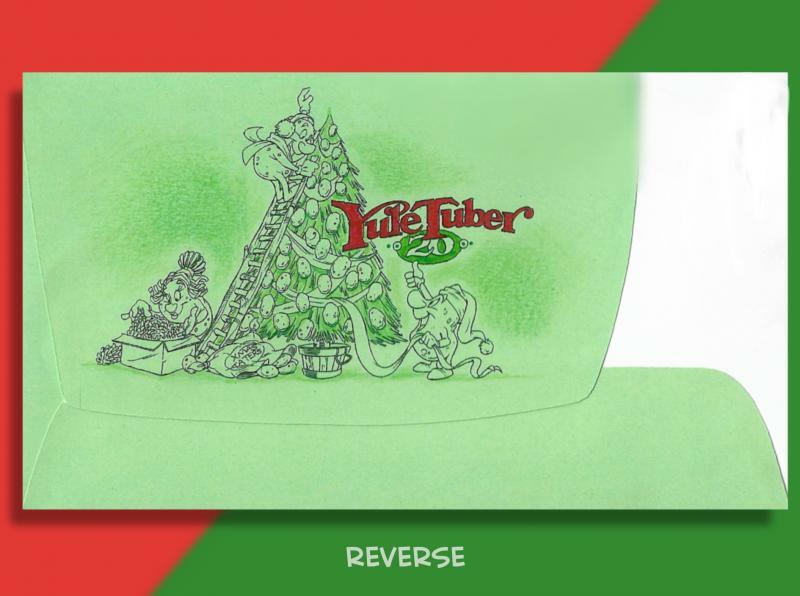 We will happily send you a refund if you are not completely satisfied with your purchase -- just let us know the reason why, send it back to us, and we'll refund your full purchase price.